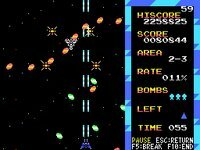 Niga is a decent mini-game by Comet Mistake that could be described as an old-school Robotron: 2084. Use the mouse to shoot and arrow keys to move the character around. 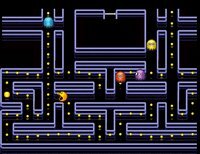 The first two levels may seem a little easy, but more enemies are introduced as you progress such as those that will shoot back or chase after the Pac-Man look-alike. There's no rapid fire, so some dodging is required if you happen to miss often because only one of your bullet can remain on screen at any time. Do avoid the edges of the playing field because enemies tend to appear from those places. The game includes a high score feature to keep track of your best achievements. Great use of minimal graphics, and strangely addictive as well. Sonic Sisters is the latest freeware shooter from ZAP, makers of Winglancer and Winged Gear. As usual, the level of quality evident in all their games have been maintained in this latest effort if not surpassed. Three characters are presented to you from the start, each with a different set of weapon and smartbomb type. Special items can be collected to increase your firepower, and bonuses in the form of stars can be picked up by moving your avatar over them. The end-level bosses look suspiciously like blown-up sprites of normal enemies. 2P mode is included for cooperative play. A must download, especially if you're a fan of stuff from the 8-bit era. Special items can be collected to increases your ship's firepower for a short while or replenish your bomb supply. The developers have also thrown in a two player mode as an added bonus. Winglancer is one of those original shooters that was made to look like something from the 8-bit era. High frame rates, excellent background music and the sort of frantic gameplay we've come to expect from Japanese SHMUPs, they're all here. Choose from three ships with different weapon and speed configurations to suit your preference. Most times I'd just pick the blue one. There's not much room to navigate around bullets, so every little speed boost counts. No power-ups to speak of as well, although bonuses in the form of twinkling stars can be collected to add up to your score. You will encounter bosses at the end of each sub-area, and there is a boss mode for any player looking for a challenge. Halo Zero is an excellent action game in the style of Contra and Metal Slug series, with a little Abuse thrown in for weapon aim. Play the role of Master Chief as you partake in more dangerous missions, but fear not all the weapons from the original has been translated faithfully to the 2D version. The sprites are large and closely resembles their counterparts from the hit FPS, animation is smooth and you can actually drive a warthog in the game. A recommended effort if not for the use of licensed characters. Jackie and the Beanstalk is an excellent Ludum Dare competition entry by DrPetter. One gameplay element that immediately stands out is the grappling hook, which can be used to hoist your character onto any platform she desires. Works a bit like Bionic Commando. Play the role of Jackie as she tries to stay above the water by climbing up a strange plant. Flying creatures will attempt to thwart her efforts, although you can feed them candy until they burst courtesy of your own limitless supply. There's no end-level bosses nor stages to speak of, but quite fun nonetheless. 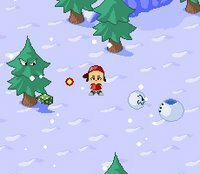 A Christmas Story is an excellent game by Kostellano that was made with a lot of heart, and it shows. Upon loading, you're presented with a cutscene that features art similar to Pixel's Cave Story. Guide a dog with a grappling hook as he attempts to gather a large collection of presents to be given as a gift for that special someone. 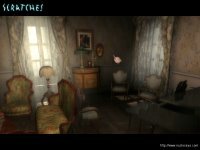 The ending varies depending on the number of presents collected when you finally decide to meet the mysterious person waiting for you at the secret meeting spot. You can press F4 to go into fullscreen mode. A perfect surprise just in time for the holidays. 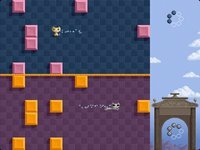 Neko Puzzle is a puzzler from Lexaloffle Games that puts you in control of a cute little kitten who has to collect all the objects found in each stage. Arrow keys are assigned for controls, although whenever the button is pressed the cat will move in that direction until it hits an object or the edge of the playing field. Careful planning is required to decide the order in which the items are to be picked up. The full version features a randomizer to ensure an unlimited number of puzzles, three difficulty settings and a two player mode. 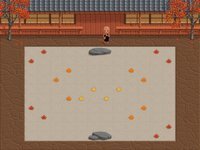 Zen Puzzle Garden is an interesting puzzler from Lexaloffle Games, developer of Neko Puzzle and a regular Ludum Dare competition participant. Don't let the serene setting mislead you, this is one tough puzzler that will have you tearing your hair out at times. The plot goes a little like this. You're presented with sixty-four gardens to rake with your trusty tool, but there's a twist or two. To begin with, you can't rake over the same spot twice and leaves can only be collected in a particular order. The monk will not stop moving in one direction once he steps onto the sand unless he comes across an obstacle. There's a handy restart key should you find yourself stuck with no way out. 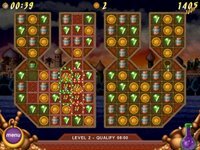 Legend of Aladdin is a new matching game from Arcade Labs, developers of the popular Breakout-style 'Bricks of' series. The gameplay probably needs no introduction I suppose, so I'll just skip to the good stuff. A neat feature is the addition of a shopkeeper that you can buy special items from, although you're limited to eight of them at any one time. Players are allowed swap tiles without waiting for a combo to complete. Also, items bought can actually be sold back to the shopkeeper for a profit, dependent on current market value. Mexican Motor Mafia is a great top-down action shooter that is very similar to the driving section of Grand Theft Auto. The story begins with the escape of a deathrow inmate, who leads his gang on a quest for revenge by first killing the local law enforcer and then proceeding to kidnap his kids. What they didn't know was that the sheriff was the protagonist's brother, and it's up to you to guide him in his search for the murderer and his cohorts. Arrow keys control the speed and travel direction of your ride, while the mouse is used to aim your shots. Carry out jobs for shady NPCs to earn some money, which you can use later to upgrade weapons or change the entire car for a new one. Trading can also be done with stolen goods to supplement your side income. Sprinter is another excellent mini-game from GameDesign, the same developers who brought us Maze. You play the role of a sprinter who dreams of participating and winning the Olympics' 100M sprint event. But to reach this goal he has to compete in six stages of increasing difficulty to train his mind and body in preparation for the ultimate test. Sounds like a simulation, but it isn't. Only two keys are needed for this game. Tap the left and right keys as fast as you possibly can to outrun your rivals. Timing is important, because if you fail to press the two keys in an alternate sequence your runner will trip and fall flat on his face. 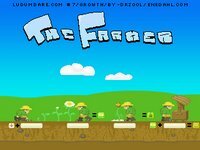 Also available as a flash game as well. Shattera is the latest release from StrongGames that uses 3D objects better than other Breakout clones in the market. You're in control of an Aztec soccer player who has some decent footballing skills, which is a welcome change from the usual variety of paddles. The mouse wheel can be used to direct the angle of your shots. 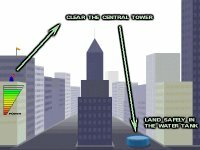 Blocks that go over the borders of the playing field will be destroyed, although your ball will bounce off the edge and back into play. Common power-ups such as balls enveloped in fire or lightning, multi-balls, extra life, speed up and slow down can be collected throughout the game, totalling fifteen varieties. Features sixty levels. A choice of two control options are presented to you. The first allows you to pan and look around your surroundings by moving your mouse, while the other is basically a slideshow mode. Everything in the game is rendered superbly, and the chilling atmosphere is further enhanced by excellent use of sound effects. The voice work does not disappoint. Perhaps the only letdown is that after completing the demo you will definitely be craving for more. 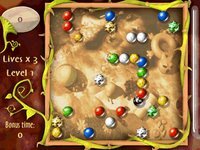 Serpengo is basically a mix of gameplay elements from Snake and matching games, in which you have to direct the serpent's head and collect matching colored balls to remove them from the playing field. Running into spiked balls or yourself will cause the loss of a life. The gameplay may seem surprisingly simple but credits to PlayActive, they have done a great job in the graphics and sound department. Features three play modes. Kind Against the Wicked is a difficult title to describe, because there's nothing quite like it in the market and doesn't actually belong to any particular genre. Take control of a saucer ship as you explore the galaxy in a quest to save or eliminate all lifeforms that you come across. Accomplish this by using your ship's beam to protect or wipe out entire species. Features plenty of unlockable weapons for each side as well as hundreds of unique planets to visit and cause havoc. 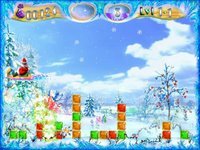 Ice Jam is a Christmas-themed matching game that puts you in control of a sleigh-riding Santa who has to clear colored ice blocks from the valley he lives in. The sleigh will dip slowly as it moves from right to left. Use the left mouse button to launch a colored block. Avoid crashing into any of the blocks, as each hit causes Santa to lose some energy. Lose too much of it and his adventures will end prematurely. Human Cannonball is another excellent game coded by Luke Twyman, maker of Saucer City. Play the role of a human cannonball specialist as he risks his life to perform death-defying stunts. Use CTRL to set your power meter and press space to launch yourself. Only three tries are allowed per stage, and there are four stunts to perform in total. Scoring is based on whether you succeed in completing the stunt. Points will also be awarded if you fail miserably. Pacman EX 2 is an excellent remake of the classic by Danjo of Acoders fame. I suppose no gameplay introduction is necessary. Gobble up all pills in each level to progress to the next while avoiding the path of four deadly ghosts. Power pills can be eaten for a moment of invulnerability. Originally a Pac-Man World bonus game, and features an online high score table. 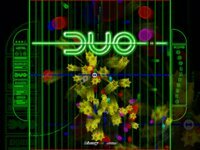 DUO is an excellent shooter by Binary Zoo, makers of DUOtris and Mono. Your mission is simple, destroy every sphere thrown at you in each level to progress to the next. Much like Pang, spheres will break into smaller pieces when shot. This complicate matters as they're much harder to hit every time. Fortunately power-ups can be collected to upgrade your ship's firepower. Features a hundred levels with varying difficulty to test casual gamers and shooter veterans alike. 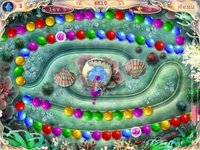 Aqua Pearls is a matching game that takes place underwater, and it's quite evident that this particular release was developed with kids in mind. An interesting feature is the option to upgrade power-ups by trading in stars found in each stage. There are four gameplay modes to choose from, ranging from the standard adventure, puzzle, strategy and endless. Icy Tower is another excellent release from Free Lunch Design. The story is about a homeboy named Harold, who discovers a mysterious tower that he feels strangely compelled to climb all the way to the top by jumping from platform to platform. Movements are limited to left, right or jump. Execute a higher jump by running in one direction to gain momentum before pressing space. Chain double or triple jumps to activate combo mode and multiply your score. The screen will move upward constantly, and the game ends if you run out of platforms to land on. The game can be customized by downloading additional characters to use from the site. Replays can be saved and shared among other players. Simple in design but extremely difficult to master. 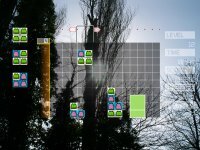 With so many clones these days, some may say that Lumines could possibly be the closest thing to imitate the success of Tetris. Fans of the PSP title have been making clones hoping to recapture the magic on other platforms, with varying success. Introducing Zoomines, a new release that uses sprites from the popular Flash online game, Zoo Keeper, with the familiar gameplay system seen in Mizuguchi's masterpiece. Blocks are moved around using the arrow keys, whilez pressing the A or D key will rotate it clockwise or counterclockwise. This version uses hi-res sprites and backgrounds coupled with smooth framerates. The music is pretty good as well. Available for both Windows and Mac. 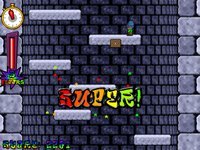 N-Ball is a game that plays a lot like Marble Madness, with some platforming elements thrown in. The objective is to guide a ball to the end of each stage. 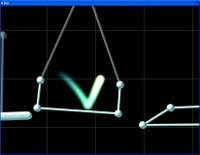 The left and right arrow keys control the movement, while pressing space will cause the ball to jump. Easy to learn but surprisingly fun. Unfortunately the game is missing sound effects and music. 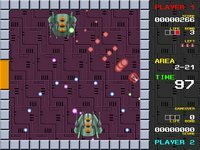 Features fifteen levels, and available for Mac users as well. 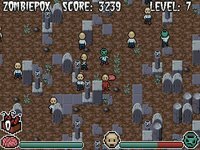 Zombiepox is another excellent freeware originally coded by Johan Peitz for the 2004 Ludumdare 48 hour contest. Gameplay is simple, feed the zombie horde brains to turn them back into humans again. Your throwing range is short, but you can leave them on the ground for the undead to walk over which will do the trick as well. 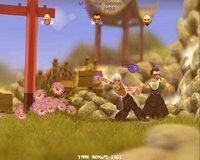 Originally a short film, Rag Doll Kung Fu is an interesting little side project by Mark Healey, a designer and artist at Lionhead. A complete game based on the movie was built, and the reel ended up as cutscenes in the final product. The story begins with Hajimi's training, which is also the section where the basics of the game can be learnt. Character movement is achieved by left clicking and dragging the mouse. Chi power can be charged by making circular motions with your cursor, which can be used to unleash stronger attack moves. Meditate to recover health should you find yourself badly injured. By getting your character in the correct pose, you can activate special skills such as launching fireballs or shooting lightning bolts from your fingers. The bad guys, especially those pesky ninjas, cheat quite often so you'll need all the help you can get. Weapons such as nunchuks, katanas, and throwing stars can be found in most levels. 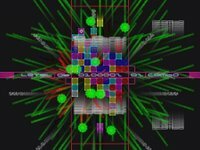 There are plenty of unlockables waiting to be discovered and advance techniques to learn just by experimenting. Currently no demo is available, but in-game trailers can be downloaded from the site. DUOtris is an excellent puzzler from Binary Zoo, makers of Mono and DUO. 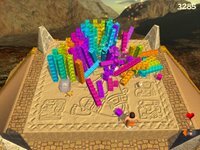 The name may be slightly misleading as the player is not required to make lines but instead link three or more blocks of the same color together to remove them from the screen. Throw in the challenge of having two separate grids, requiring the player to shift and arrange two pieces at the same time and you have the makings of a fantastic game. You're allowed to swap pieces by pressing CTRL or space, although this option can only be used if none of the pieces has touched another block. The game ends if any of the accumulated stacks goes over the line at the top and bottom of the screen. Some blocks carry power-ups which, when destroyed, may help or hinder your progress. 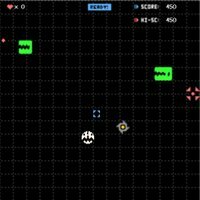 Mono is a shooter from Binary Zoo that uses Robotron 2084-style controls, where the aim of the game is to change the color of the entire screen from black to white or white to black. 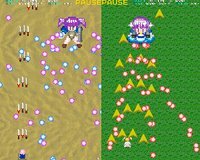 Enemies will leave a splash of color on the playing field when destroyed, and the behavior of a hostile unit will change depending on the patch of color that they traverse on. Power-ups can be collected replenish energy, shields, or radically alter your ship's firepower, although they only lasts ten seconds. 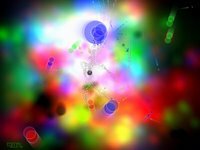 Playing this game can be disorienting after a while because of the bright colors used. Bugs is the latest addition to Ferry Halim's impressive flash game collection. You guide a little girl as she tries to scare insects away without getting bitten in return. 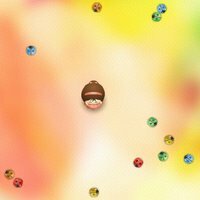 To do this, the player has to create a bubble by holding the left mouse button. Jump before any of the bugs touches the bubble, and hopefully land on somewhere safe. Bugs in the perimeter around you which is the size of your original bubble will be sent flying. Points are awarded depending on how many insects that you manage to capture in one go.